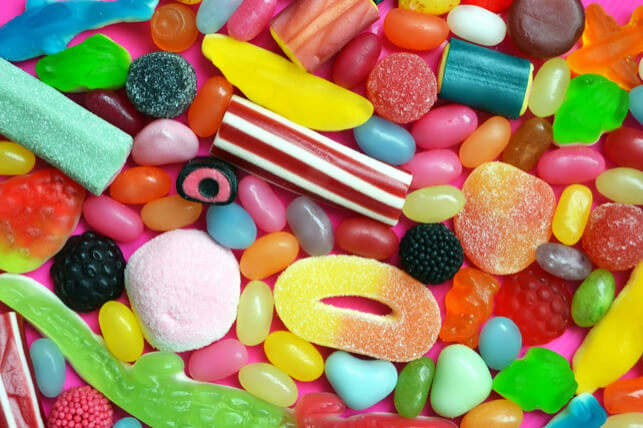 Are Sweets Always Bad for Teeth? Sugar feeds the harmful bacteria on your teeth, and creates acid that erodes enamel. This causes plaque and ultimately cavities, which is why you should limit the number of sugary foods and drinks your family consumes. But, are all sweets terrible for teeth? Not necessarily. Milk chocolate contains a combination of milk and sugar additives that can contribute to tooth decay, while dark chocolate does contain those ingredients. Additionally, dark chocolate contains polyphenols, which are natural chemicals that limit the buildup of bad oral bacteria. Polyphenols also help prevent bacteria from turning sugar into acid, thereby limiting acid attacks and keeping enamel healthy. If you need to satisfy your sweet tooth, go to the store and find some all-natural dark chocolate. Be sure that it is at least 70% cocoa to get the most nutrition. Fruit satisfies a sweet tooth in much healthier ways than refined sugar. In fact, some fruit cleans your teeth as you eat them. Because of their high fiber content, fruits like apples, strawberries and pomegranate scrub your teeth as they are chewed. This helps fight plaque buildup, as well as remove other food debris that could harm the tooth surface. Fruit can be great for improving health, but it can sometimes damage teeth. Citric fruits like oranges, grapefruits, lemon and tangerines have a high amount of acid in them, which can lead to tooth enamel erosion. Therefore, if you have citric fruit, be sure to rinse your mouth out with water afterward to remove any acid buildup. Xylitol is found in fruits and vegetables and its genetic makeup is much healthier for teeth than traditional sugar. The proteins and carbohydrates in traditional sugar fuel cavities, while the genetic makeup of xylitol prevent this from occurring. Xylitol naturally stimulates saliva that aids in overall oral health. Increased saliva can help prevent bad breath by eliminating dry mouth, and prevent prolonged exposure to acid and sugar caused by food debris. Does Your Child Have a Healthy Diet? Our pediatric dentist office helps parents teach their children about earning a healthy smile, and keeping it long after they leave our office. A mouth-healthy diet is an important part of maintaining optimal oral health. If you’re concerned about how your child’s diet may be affecting their teeth, then bring them into our office. We will evaluate their smiles and offer a variety of treatment options that fit their case. We can also give you tips on eating for better oral health, and point out food that can lead to tooth decay. To Pull or Not to Pull: Should Parents “Help Out” a Loose Baby Tooth? Looking To Get A Healthy Smile For Your Kid? © 2017. Kids Healthy Teeth. All Rights Reserved.